Northern Ireland athlete Emma Mitchell finished an impressive eighth on her half-marathon debut at the Great North Run. Mitchell clocked 74 minutes and 38 seconds which left her just under seven minutes behind winner Vivian Cheruiyot in Sunday's race. The Down athlete was the top British and Irish finisher in the women's race. Queen's athlete Mitchell competed on the track at this year's Commonwealth Games and European Championships. However, the Banbridge woman is targeting marathon qualification for the 2020 Olympics in Toyko. Mitchell was in the lead pack early on and she maintained her form well to clinch a top-10 finish in the North East of England event. 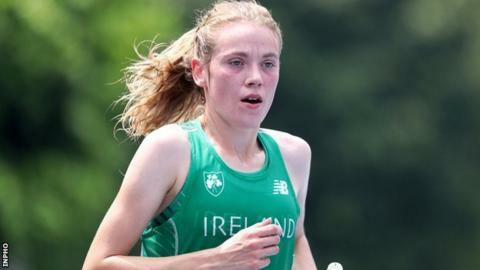 The county Down woman was eight second ahead of leading British athlete Hayley Carruthers, who was ninth, while those behind her included former Antrim International Cross Country winner Charlotte Purdue who finished 14th. City of Lisburn athlete Chris Madden finished 23rd in the men's race in 71 minutes and 46 seconds where Sir Mo Farah took victory in 59 minutes and 26 seconds. Farah, clinching his fifth victory in the event, finished 31 seconds ahead of New Zealander Jake Robertson.